What’s good? Finding a good glove for high summer is easy enough, so too finding one for the depths of winter. The glove that takes a bit of rooting out is a good three-season, do-it-all all-rounder. These multi-tasking Wolf Titaniums make a decent stab at the job, combining reasonable feel and a sporty fit with warmth and coziness for at least nine months of the year. Construction is a cowhide/Cordura mix with a Hipora waterproof membrane. I use them for my 20-mile commute and they’ve remained waterproof so far. 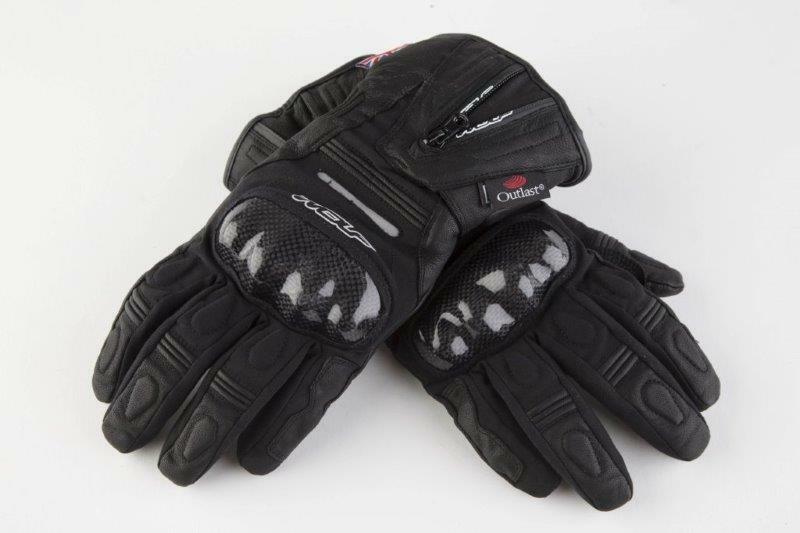 Finger comfort is snug without discomfort from internal seams while the cuffs have enough adjustment to zip (and Velcro) over or under bulky waterproofs. What’s not? The Outlast warmth lining in the thumbs gets slightly rucked up and distracting, especially when hands go in damp. There’s no visor wiper blade, and while there’s welcome protective knuckle armour stitched into the back of the glove, I wonder how much abrasion resistance its fabric construction would provide if, say, your hand was trapped knuckles-down under the bars in a crash.